Preparing for the Complete Streets Conference, NCDC's TURBO Nashville, Ellie Caudill (Muralist) and volunteers from the Greater Nashville REALTORS® installed a temporary plaza, crosswalk, and mural. This project highlights an ongoing conversation in Nashville regarding the need for increased safety, public art, and public participation throughout Nashville. This installation seeks to explore how this intersection could be transformed into a fun informative place. 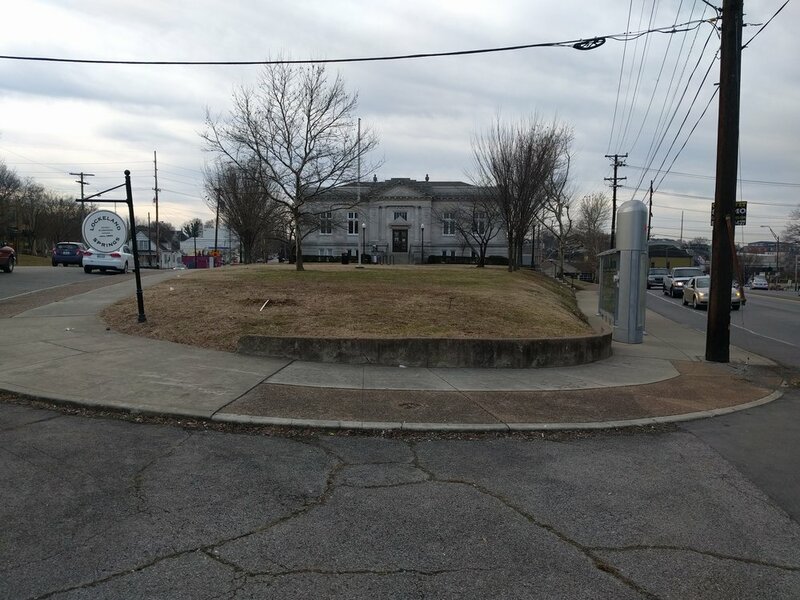 This intersection could be an amazing art space that has the potential to be a nexus for East Nashville. 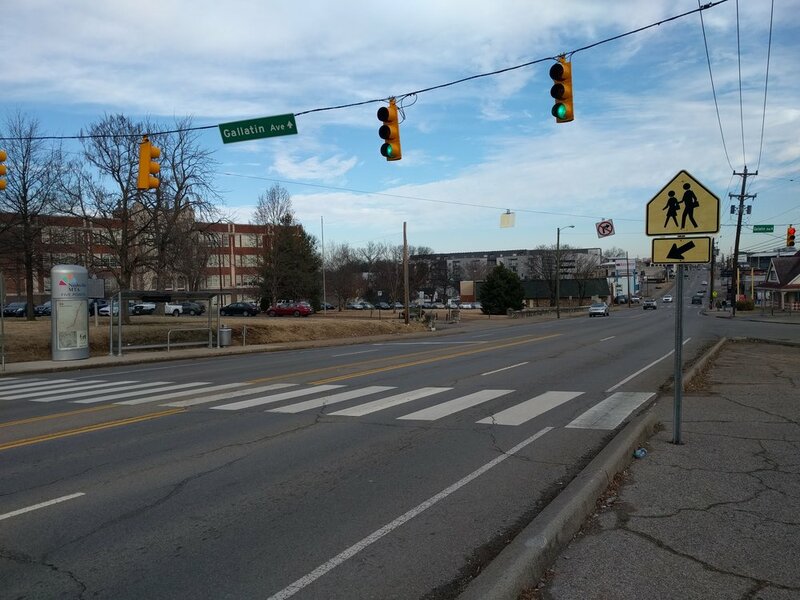 The work in for this project will be between the curbs on the south side of the intersection of 11th and Gallatin in East Nashville (in the Lockland Springs Neighborhood). The scope of this project includes safety and beautification. The methods includes public art in the form of a ground mural with wayfinging elements, an overhead rope sculpture, an enhanced seating element to the library retaining wall and a new crosswalk at the south side of the 11th and Garland intersection. Rendering of proposed Placemaking installation. Ideas and drawings were collected from students who use the space after school. A TURBO Triangle Triage workshop was conducted by the Public Library that sits on the narrow wedge of the triangle space. During the 2016 school year, students congregated at the Library's after school program to give input on the space they inhabit every day. What Could Be Next For The Triangle Triage? At the 2015 Tomato Festival, a group of Tactical URBanism Organizers (aka TURBO Nashville) vowed to reclaim public space in a desolate asphalt traffic triangle at the intersection of Gallatin Pike and 11th Avenue in East Nashville. 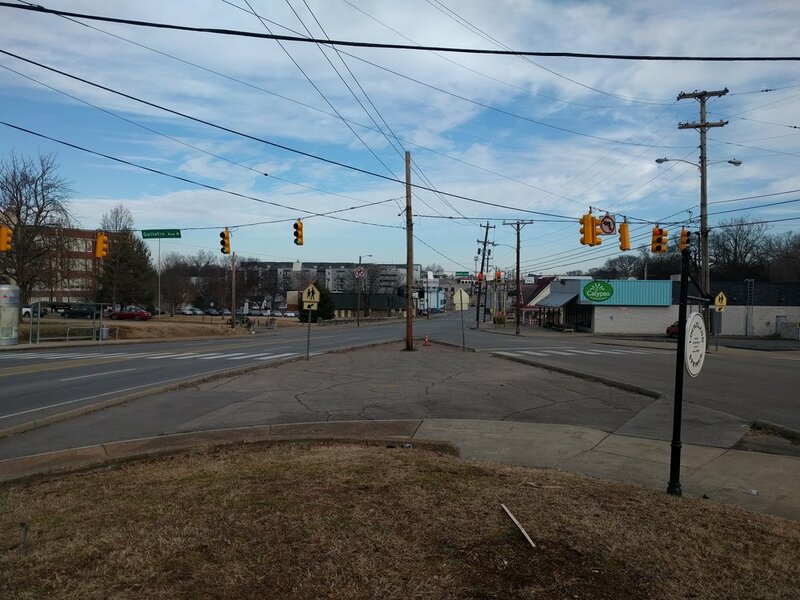 The goal was to convert dangerous and unpleasant pedestrian space into an enjoyable, safe place that promotes walks to Five Points. TURBO Sign asking for community input for the Triangle space - this sign was posted over one month before the installation took place. This data shows the consensus of the participants of the 2015 Tomato Fest.